A female tonic herb. Blue Cohosh plant, Caulophyllum thalictroides, is used with other tonic herbs in natural childbirth, at the end of the third trimester, to prepare the uterus for childbirth. May also be employed to cause an abortion. A tea of the dried herb will bring on menstruation. Note: The blue berries are very toxic and should not be consumed. Blue Cohosh plant is a native of North America and prefers rich moist soils in a protected shaded position. Produces terminal clusters of tiny brownish flowers in spring. Frost resistant but drought tender. Perennial plant growing to 1m x 0.5m. 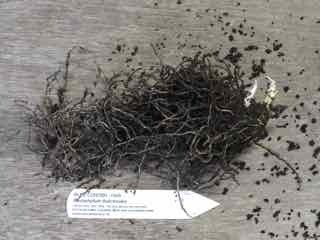 Be the first to review “Blue Cohosh plant, delivery July 2019” Click here to cancel reply.